Sophomore guard Michael Ertel scored 26 points and junior guard JD Williams had 23 for the Warhawks (11-9, 4-4) in the loss to Appalachian State 85-84. 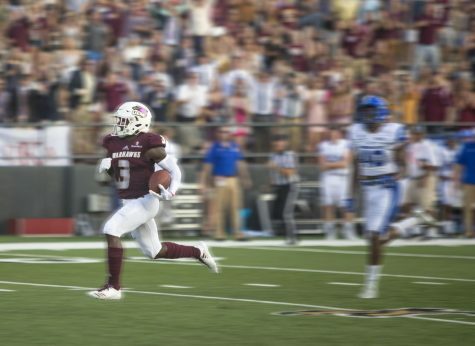 This was the Mountaineers’ third consecutive victory and ULM’s third loss in a row. Senior guard Daishon Smith added 11 points. 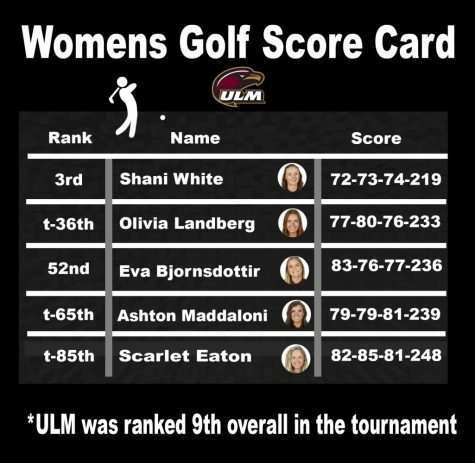 ULM shot 53 percent from the field. 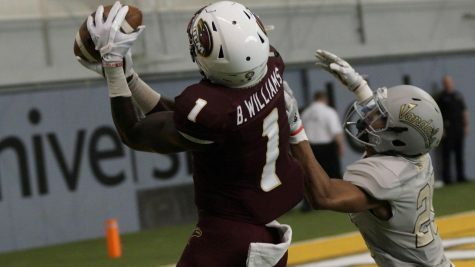 Saturday’s game marks just the seventh meeting between ULM and Appalachian State. The Warhawks lead the all-time series, 4-2, including a 2-1 record in games played in the Holmes Center. 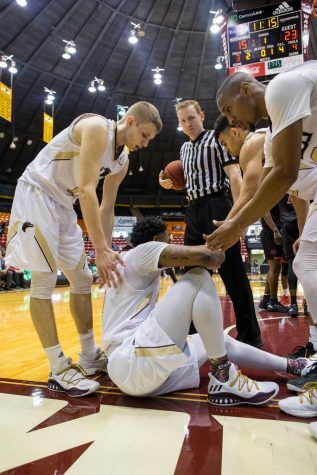 Last season, Appalachian State snapped a three-game losing streak in the series by winning the only regular-season meeting, 79-73, in Fant-Ewing Coliseum. 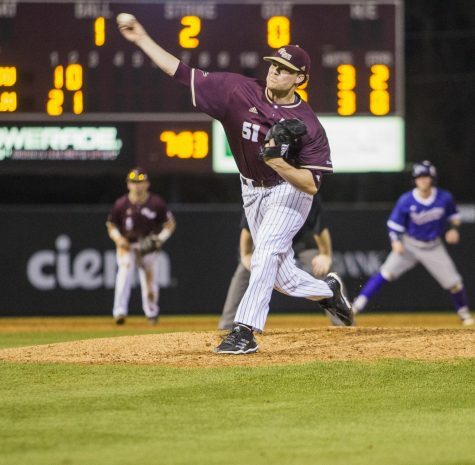 After dropping its first six Sun Belt games, Appalachian State (7-14 overall, 2-6) has recorded back-to-back league wins at Little Rock (77-73) and against the Ragin’ Cajuns (104-77) Thursday night. Four of the Mountaineers’ conference losses have come by a combined total of 10 points. Overall, Appalachian State has lost eight games by eight points or less. Both teams were very efficient in the first half with Appalachian State shooting 61 percent and ULM shooting 54 percent. The Mountaineers led 46-40 at halftime and went up by 13 early in the second half. The Warhawks rallied and there were five ties and two lead changes in the next several minutes before Appalachian State built an 83-77 lead with just under three minutes to go. 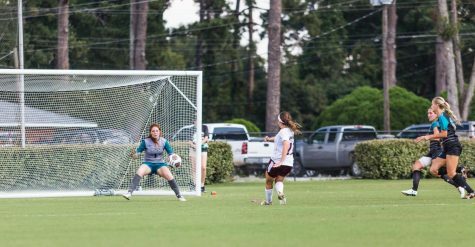 There was no scoring, but plenty of action in the final minute. Both teams worked the shot clock on alternating possessions, only to come up empty. 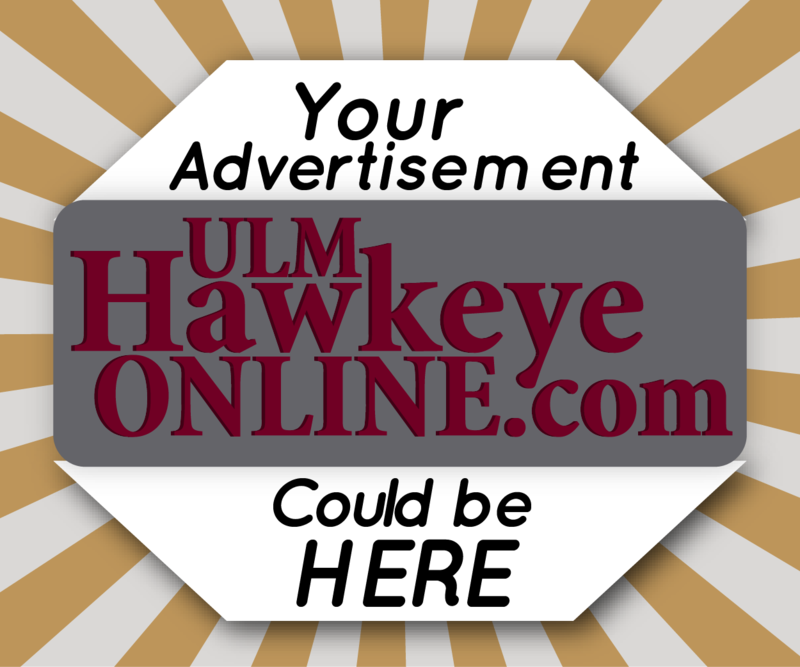 With 13 seconds to go, ULM’s Smith missed a jumper that was rebounded by Appalachian State’s Hunter Seacat, who was fouled with 11 seconds to go. He missed the front end of the bonus, but made up for it by blocking Williams’ layup at the other end as time ran out. This comes off the heels of a hard-fought battle against Coastal Carolina where the Warhawks lost 92-81. 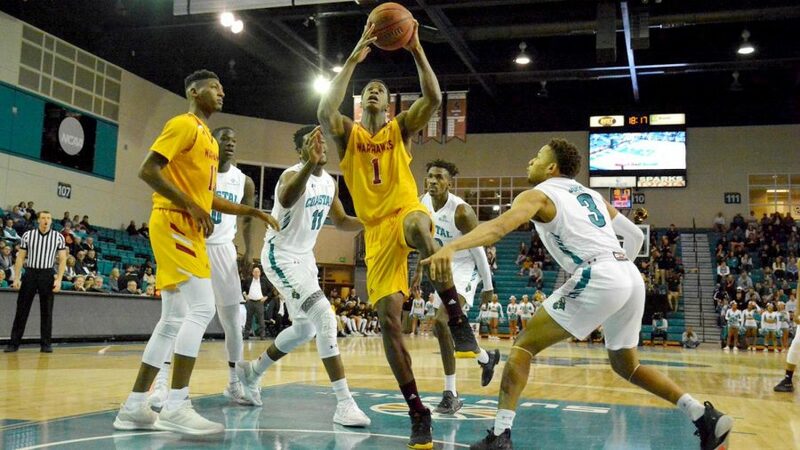 The Warhawks went into the Coastal Carolina game leading the Sun Belt in 3-pointers made per game, free-throw percentage and assist-to-turnover ratio. The Chanticleers, who led throughout, took a 46-35 advantage into the half. Coastal Carolina opened the second half with a 15-6 run and led 61-41. The Warhawks answered with three unanswered 3-pointers to close to 61-50 with over 12 minutes remaining. 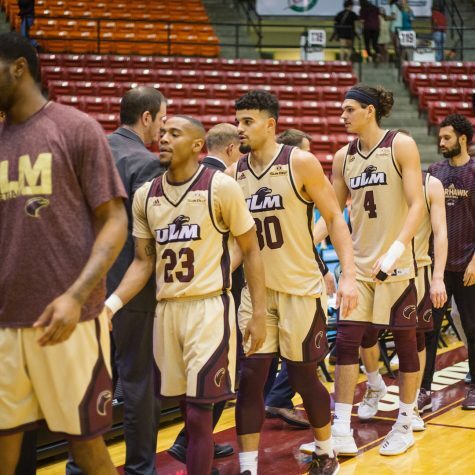 ULM closed to 65-57 after Smith drained his fourth 3-pointer of the game. The Warhawks closed to 87-81 with less than a minute remaining after Smith made two free throws. However, Coastal Carolina slammed home a dunk for the final points of the night. 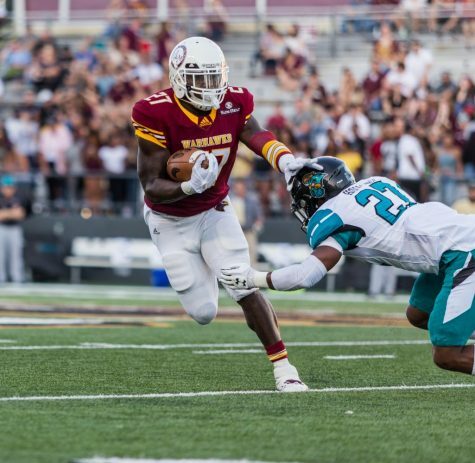 ULM is now 11-10 on the season and 4-5 in Sun Belt play. 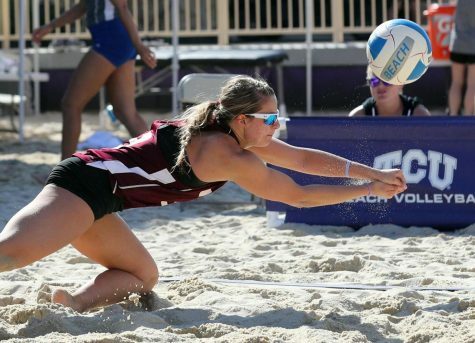 The Warhawks will come back home for a rematch on Wednesday against Georgia State.